The popular maker of AMD-based graphics cards Sapphire has introduced two new video adapters, based on AMD Hawaii GPUs with enhanced performance. As expected the Taiwanese company has applied factory overclocking bundled with better cooling to achieve more performance but this is not bad since the cards deliver what they promise. 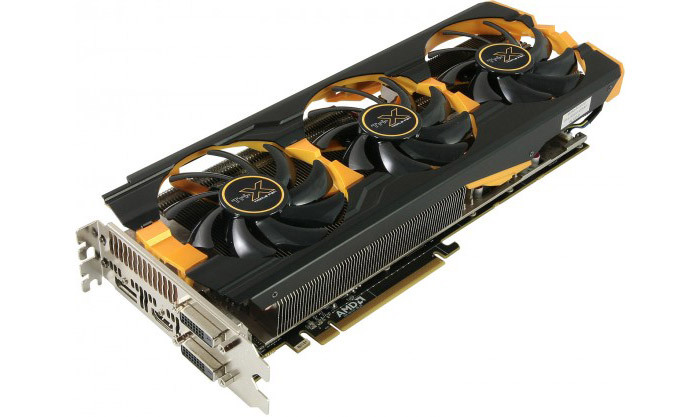 So prepare to meet the Sapphire R9 290X Tri-X graphics card, powered by a Hawaii GPU with 2816 stream processors at 1040 MHz, up from the normal 1000 MHz. The other model is known as Sapphire R9 290 Tri-X and comes with 2560 stream processors at 1000 MHz, up from the 947 MHz by default. Both graphics cards come with 4 GB of GDDR5 memory at 1300 MHz (5200 MHz effective) up from the default 1250 MHz (5000 MHz effective) which improves memory bandwidth by 4 per cent. In order to provide for the increased frequency the Sapphire Tri-X cards come with specially designed Tri-X coolers that deliver improved air flow at low noise levels with the circulating air touching the hottest areas of the card. In fact Sapphire claims the Tri-X cards, thanks to the innovative cooling, achieve operating temperatures that are lower than the ones observed in reference AMD models. The new Sapphire cards are in production now and can be found at Sapphire dealers or online. Retail packages also get a coupon for a free copy of Battlefield 4.